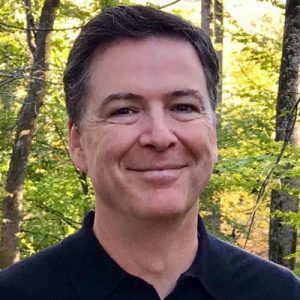 Former FBI Director James Comey on ABC’s 20/20. Former FBI Director James Comey has made a deal with Republicans to testify privately before the House Judiciary Committee after threatening to block a subpoena to appear. The deal comes after Comey’s attorney, David Kelley, contested a House subpoena on the grounds that it was equivalent to “dragging (Comey) into a dark alley” and asked, “What its the purpose of keeping it out of the public eye?” according to the USA Today. In a deal with House Republicans, Comey agreed to testify as long as a transcript of the interview is released within 24 hours and that the former FBI boss can speak publicly about the testimony. Comey, who was fired by President Trump in April 2017, said he was primarily concerned that Republicans would selectively use the testimony to try to discredit the Robert Mueller investigation. The House committee is expected to ask Comey about the FBI’s decision to drop the investigation into Hillary Clinton’s private email server and his involvement in the probe into Russian meddling in the presidential election. Posted: December 3rd, 2018 under News Story. 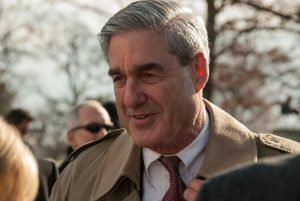 Right-wing operative Jack Burkman and a shady intelligence firm are accused of offering to pay women to falsely accuse special counsel Robert Mueller of sexual misconduct. Burkman, who hosts “Behind the Curtain with Jack Burkman,” is a prolific conspiracy theorist and firebrand conservative. He recently offered a $25,000 reward for information about Christine Blasey Ford, who had accused Supreme Court Justice Brett Kavanaugh of sexually assaulting her while they were in high school. 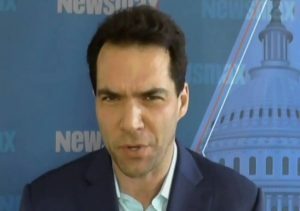 Details emerged this week that men claiming to work for Burkman and Surefire Intelligence offered to pay women to falsely accuse Mueller of sexual misconduct. After the allegations surfaced, a far-right website Gateway Pundit posted a document from Surefire Intelligence that claims to have details of a woman who was sexually assaulted by Mueller, who is investigating whether Trump’s campaign colluded with Russia to undermine the 2016 presidential election. Burkman quickly denied the allegations. Whoever is responsible could be charged with obstruction of justice, witness tampering and making false statements, Justice Department officials told Business Insider. Posted: November 1st, 2018 under News Story. Christine Blasey Ford testifies during a Senate Judiciary Committee hearing on Friday. Whether Judge Brett Kavanaugh makes it to the nation’s highest court may come down to a one-week FBI investigation. 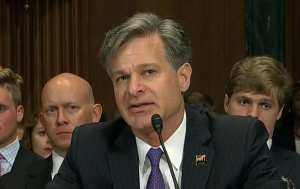 Sen. Jeff Flake, R-Ariz., called for an FBI investigation on Friday following an intense and emotional nomination hearing before the Senate Judiciary Committee. “I think that we ought to do what we can to make sure that we do all due diligence with a nomination this important,” Flake said just hours after he said he would vote to confirm Kavanaugh’s nomination to the Supreme Court. So what would a week-long FBI investigation entail? Three women have come forward to claim Kavanaugh sexually assaulted them. But one of those women’s accusations aren’t being treated seriously, said Michael Avenatti, a lawyer for Julie Swetnick, who said Kavanaugh sexually assaulted her and that she was gang-raped at a party decades ago. “We need the facts,” she wrote. “Whatever it is they do, they’ll be doing things that we’ve never even thought of,” the president said. 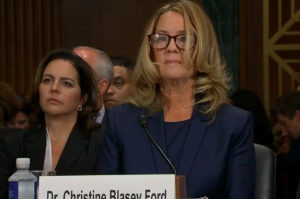 Most likely, FBI agents will try to determine the veracity of the claims by Christine Blasey Ford, who said Kavanaugh pulled her into a room, held her down, fondled her and cupped his hand over her mouth to prevent her from screaming. That means interviewing everyone who attended the party, including Mark Judge, whom Ford said stood watch outside the locked room while Kavanaugh sexually assaulted her. According to the USA Today, the FBI has contacted Deborah Ramirez, a former Yale classmate of Kavanaugh’s, who said he exposed himself during a drunken party. The FBI has the resources to handle special investigations, former bureau officials said. 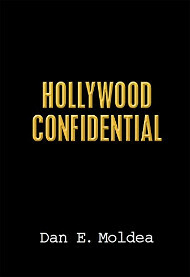 “They could knock this thing out in a couple of days,” said Jim Davis, a former agent who participated in at least 50 such background inquiries. The investigation’s findings will be turned over to the White House, which then must share them with the Senate committee. A full Senate vote could happen later this week or next week. With a 51-seat majority, all but one Republican must approve the nomination if every Democrat opposes it, as long as Vice President Mike Pence casts the tie-breaking vote in Kavanaugh’s favor. Posted: October 1st, 2018 under News Story. The fate of the special counsel’s Russia investigation hangs in the balance as President Trump decides today whether to fire Deputy Attorney General Rod Rosenstein, who supervises the federal probe. The removal of Rosenstein would cause a shake-up at the top of the Justice Department, leaving open the possibility that the new deputy attorney general could end the investigation by firing social counsel Robert Mueller. This scenario is why Democrats and some Republicans are backing a bill that would make it more difficult for Trump’s administration to end an investigation that has resulted in numerous indictments. But Senate Majority Leader Mitch McConnell refuses to bring the bill to the floor, leaving no protections in place to prevent Mueller’s removal. 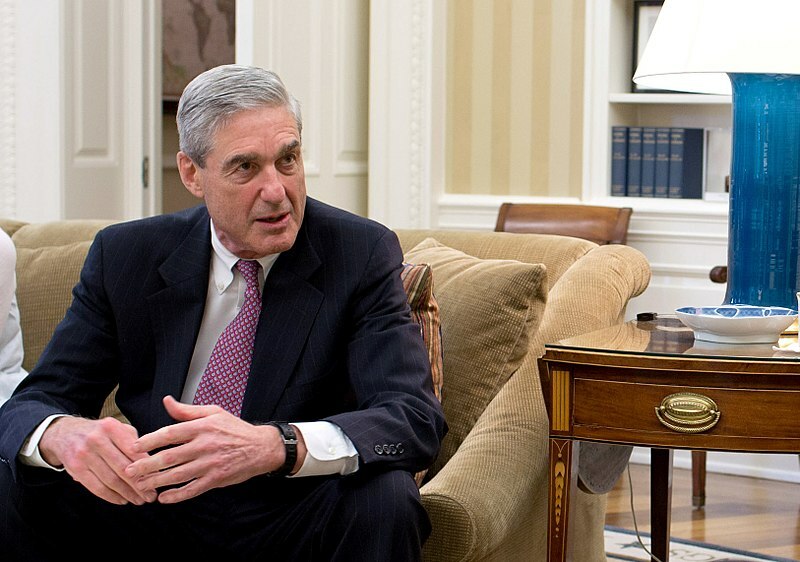 The bill, the Special Counsel Independence and Integrity Act, would allow Mueller to appeal and provide for a judicial review of any attempts to fire him. Posted: September 27th, 2018 under News Story. Ex-FBI Director James Comey is stepping outside his box. 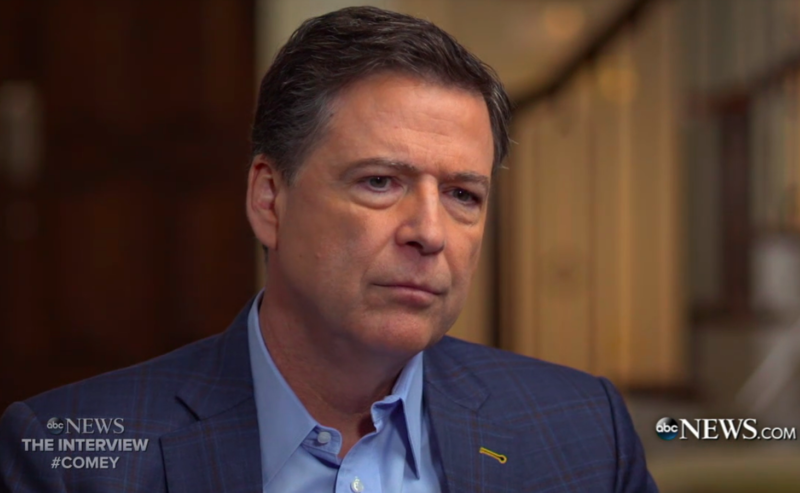 Comey, who had been registered as a Republican most of his life, urged “all who believe in this country’s values” to vote for Democrats in the upcoming midterm elections, CNN reports. Posted: July 18th, 2018 under News Story. Is transparency best in this case or simply dangerous? Posted: July 13th, 2018 under News Story. A majority of Republicans believe the FBI is conspiring to frame President Trump as part of the special counsel investigation into connections between his campaign and Russia, according to a new poll from YouGov released Wednesday. The survey found that 61% of Republicans believe he is. Only 17% of Republicans think Trump is not being framed, while 21% are unsure. Overall, though, only 29% of Americans believe the FBI and Justice Department are conspiring to frame the president. The poll surveyed 1,500 American adults in early May. The survey had a margin of error of 3%. Posted: May 10th, 2018 under News Story. Attorney General Jeff Sessions during a previous congressional committee for failing to disclose his contacts with Russia. Attorney General Jeff Sessions rebuffed calls from Republican lawmakers to appoint a second special counsel to investigate whether the FBI and Justice Department overextended their authority in surveilling a former Trump campaign aide. Some House and Senate Republicans urged Sessions to make the appointment, continuing to assail the investigation of Carter Page, a former foreign policy adviser during Trump’s campaign, as politically motivated. 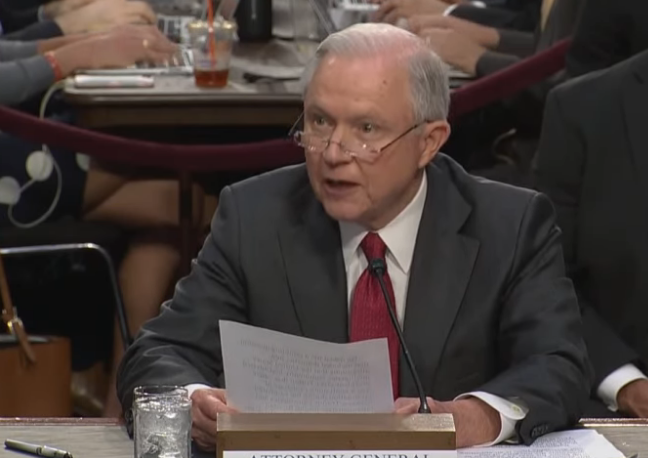 In a letter to three congressional committee chairmen, Sessions said there’s no need– at least not yet – to appoint a special counsel because the matter is already the subject of two separate investigations – one by the Justice Department inspector general, the other by the U.S. attorney in Utah. Sessions’ decision was criticized by some Republicans. Posted: March 30th, 2018 under News Story.